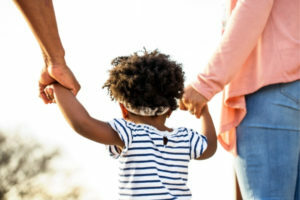 When considering how your children’s time will be split between both parents, Florida child custody laws put what is best for your children at the forefront. Summer Nichols has years of knowledge in child and family law and can help you determine which arrangements should be made in order to keep the stability that your children deserve intact. Florida courts consider some other factors and deviations when considering child support. Has a time-sharing plan already been established but is not being followed? Have you relocated, or do you wish to spend more time with your children than the parenting plan allows? Summer Nichols can assist in modifying a time-sharing agreement that works best for you. We want to walk with you through all of your family law issues and other legal matters that you may encounter in your life. Visit our Practice Areas for more information on our full service representation. Contact us today for a free consultation with a child custody attorney that has your child’s best interest in mind. We proudly serve clients in Jacksonville, FL and surrounding communities. The state of Florida does not have a law that speciies the age at which a child may be left unattended, however, the Florida Dept. of Children and Families recommends 12 as the age.